Many content creators on YouTube produce collaborative content. Finally, I’m producing my first collaborative piece. For the past 2 weeks I’ve worked with the YouTuber Radical Reviewer (RR) who reviews leftist literature. I find his YouTube channel very important. If you can’t read an entire book, the least we can do is watch a video on the topic. Although reading a book is the best option for learning, watching videos helps save time and money. Also, if the video review is done well it could prompt someone to actually read the book! 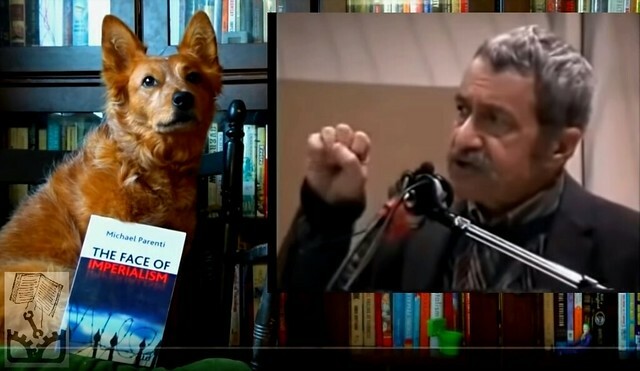 Radical Reviewer and myself worked together to produce a book review of The Face of Imperialism by Michael Parenti. The book provides a really good analysis of the relationship between U.S. economic and military power. Parenti documents how U.S. imperialism in the 21st century promotes unjust policies across the globe including expropriation of natural resources, privatization, debt burdens, and suppression of democratic movements. All of this feeds into the deteriorating living standards within the U.S., leading to poverty, decaying infrastructure, and impending ecological disaster. The Radical Review and Will Griffin of The Peace Report review The Face of Imperialism by Michael Parenti. This entry was posted in Anti-war, Book Reviews, Capitalism, Cuba, History, Imperialism, Politics, Poverty, Venezuela and tagged Michael Parenti, Neoliberalism, Will Griffin. Bookmark the permalink.